This children’s book is one of my chicken favorites and is too cute not to share. 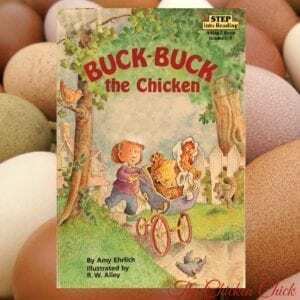 It’s the story of a little girl and her pet chicken, Buck-Buck, and the challenges they face growing up together. The story is adorable and the illustrations are delightful. I hope you enjoy it as much as we do at our house! Make a Cookie Tin Waterer Heater. Under $10, & 10 minutes! This is adorable!!! I love buying chicken books for the 2 kids I babysit. 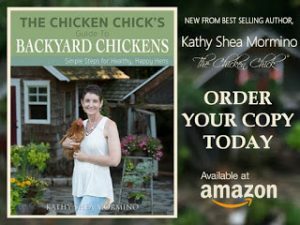 2 of my favorites are "Cockadoodle Whooo" about an owl that takes up with some hens. The other is "Tough Chicks" a story about 3 peeps that get scolded by the other farm animals for not being good chicks.